Alpha Sport Injury Update: Round 4 GC SUNS Head Physiotherapist, Lindsay Bull, provides an injury update ahead of Round 4. Brayden Crossley is expected to be sidelined for the next 2-3 weeks after suffering hamstring injury in the NEAFL. Gold Coast’s Head Physiotherapist Lindsay Bull told the Alpha Sport Injury Update it was only a minor strain and shouldn’t see the key forward miss too much football. “Brayden hurt his hamstring in the NEAFL game on the weekend,” Bull said. In positive news Josh Corbett and Josh Schoenfeld are primed for a return to football this week after completing their respective rehab programs. “Both the Josh’s trained last week with the team and will train this week with the team as well,” Bull said. 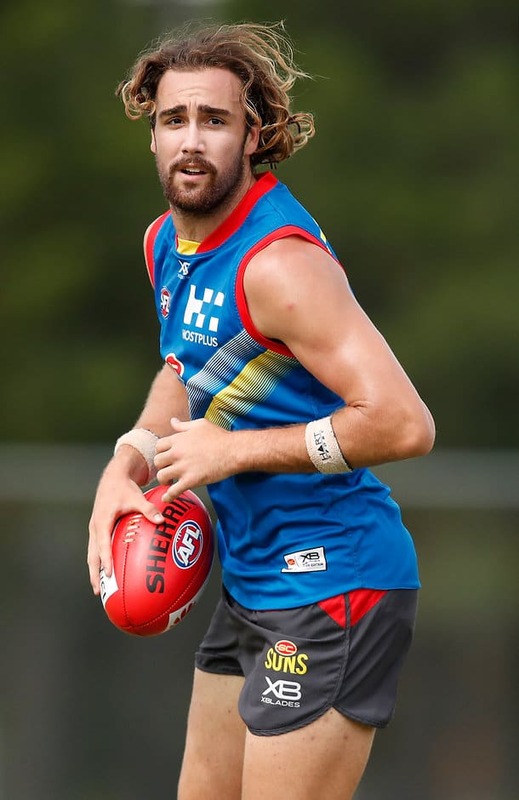 New recruit Sam Fletcher is another who is expected to see action this week after he injured his ankle in a NEAFL practice match two weeks ago. “Sam’s done really well with his ankle rehabilitation and looks set to be available for selection as well,” Bull said. Click here for the full injury list.